Digital print giant EFI is set to enhance its presence in the Spanish packaging market after two companies based in the country opted to invest in its Nozomi C18000 single-pass, ultra-high-speed LED inkjet corrugated packaging press technology. Grupo La Plana has installed one of the machines at its site in Onda, Castellón, while Hinojosa has taken on two of the devices. Founded in 1973, Grupo La Plana is a family business group that produces corrugated and solid cardboard containers, and packaging for the Spanish national market. 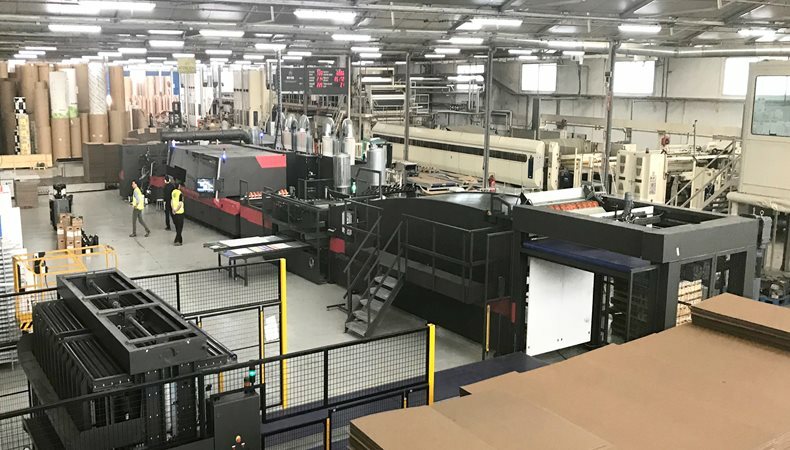 The group opened its Onda factory in February – as part of a €25m (£21.3m) expansion strategy – and the EFI press will be the newest piece of kit at the facility. “We are aware of the fact our product has been introduced into the distribution chain of our clients,” Piquer added in a statement. Meanwhile, Hinojosa’s decision to take on two Nozomi C18000 presses will grant the company one of the highest digital print capacities in market. Part of Blue Box Partners, a pan-European alliance of corrugated packaging providers, Hinojosa has more than 70 years of experience in the market. The company operates a total of 12 production sites across Spain and the new presses will be split between two of these facilities. Hinojosa has said that the purchase of two machines demonstrates its strategic commitment to providing customers flexibility and customised production. The company has also said the technology provides it with both the flexibility and ability to adapt and customise packaging solutions to suit the demands of its customers. Measuring in at 1.8m wide, the Nozomi C18000 can print at speeds of up to 75 linear metre per minute, or 10,000 890 x 890mm per hour. The press works with six colours – CMYK, orange and purple – and also offers grayscale images that EFI said compete with offset and high-quality flexographic printing. FESPA Global Print Expo 2019 is Europe’s largest speciality print exhibition for screen and digital wide format print, textile printing and signage solutions. Visit EFI at Hall B5 at stand E10 at the Messe Munich between the 14-17 May 2019 and discover the available features. Please use promo code FESG902 to register for free.